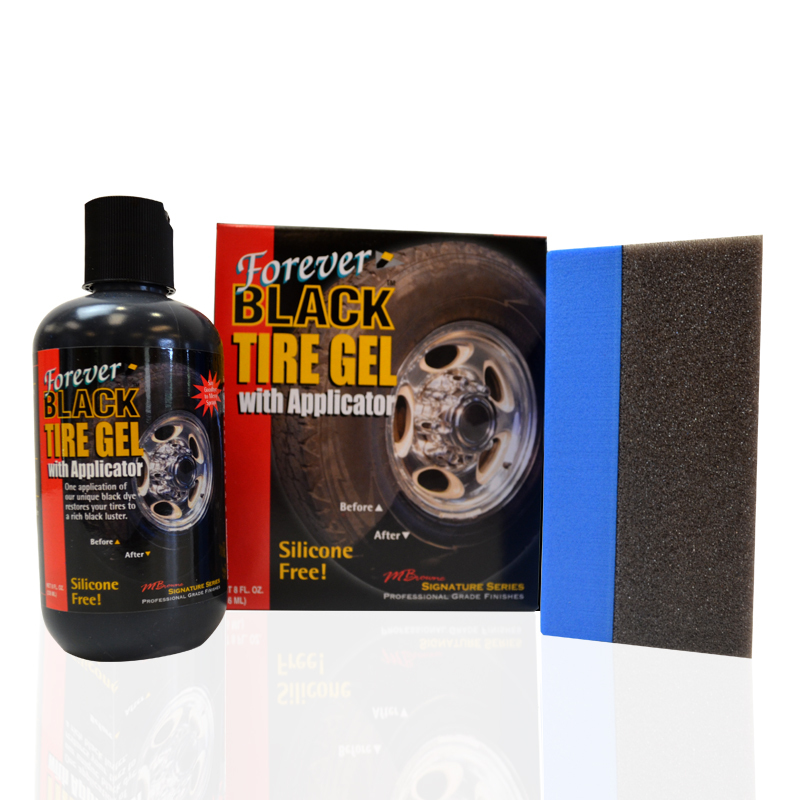 Forever Black Tire Gel, unlike all other tire dressings on the market, is a black pigmented polymer. 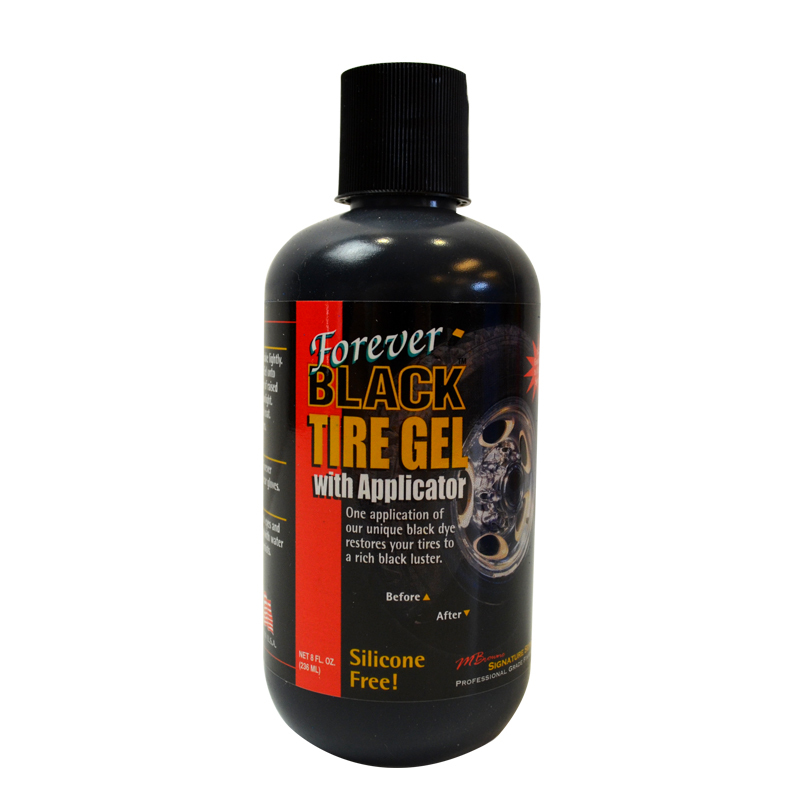 This environmentally friendly product will restore the faded bronze look of your tires to a rich black luster. 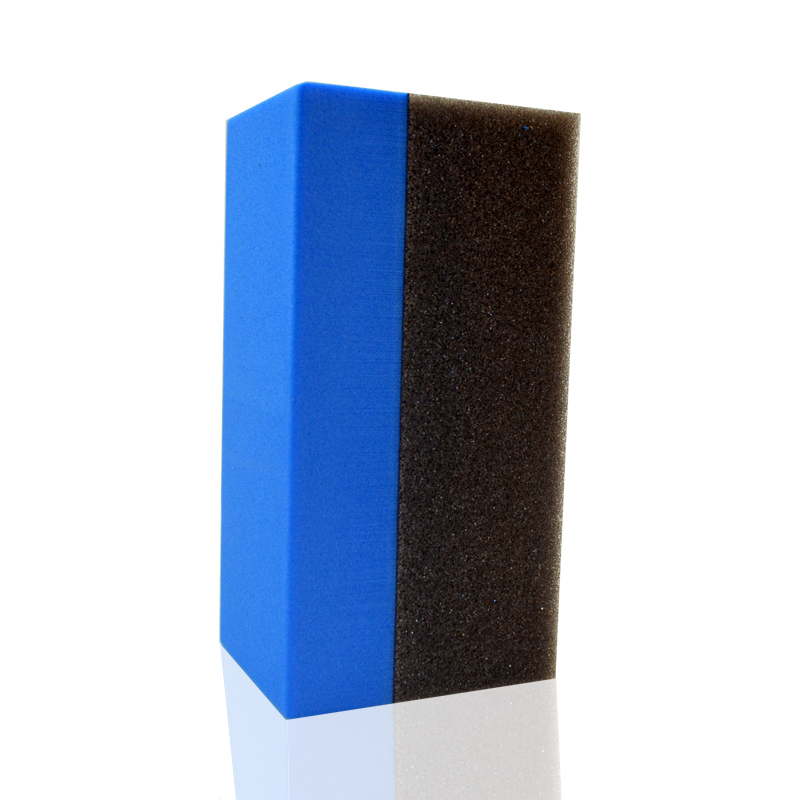 Keep up the beauty of your car tires with a Professional Grade Finish!